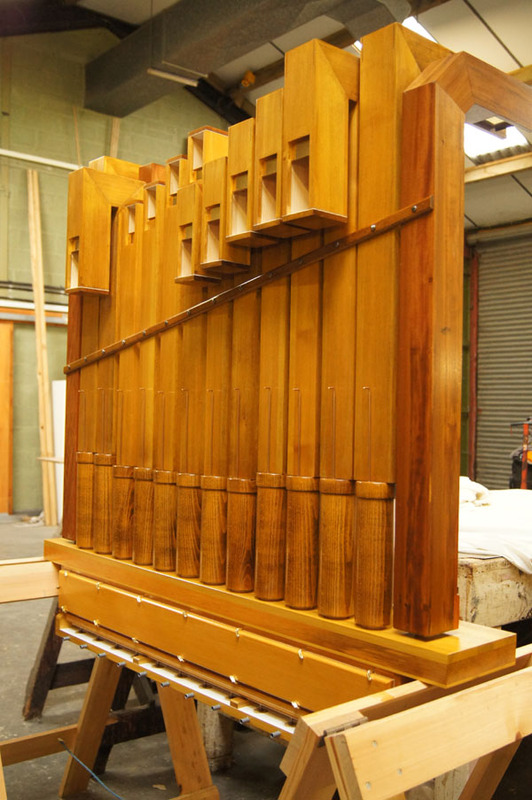 Our experience in the restoration of old instruments puts us in an enviable position for building new instruments based more or less on historic examples. 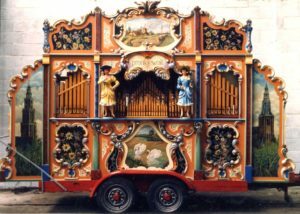 Whilst our heavy restoration programme has never allowed extensive building of new organs, we would be pleased to discuss your requirements for instruments of all sizes. 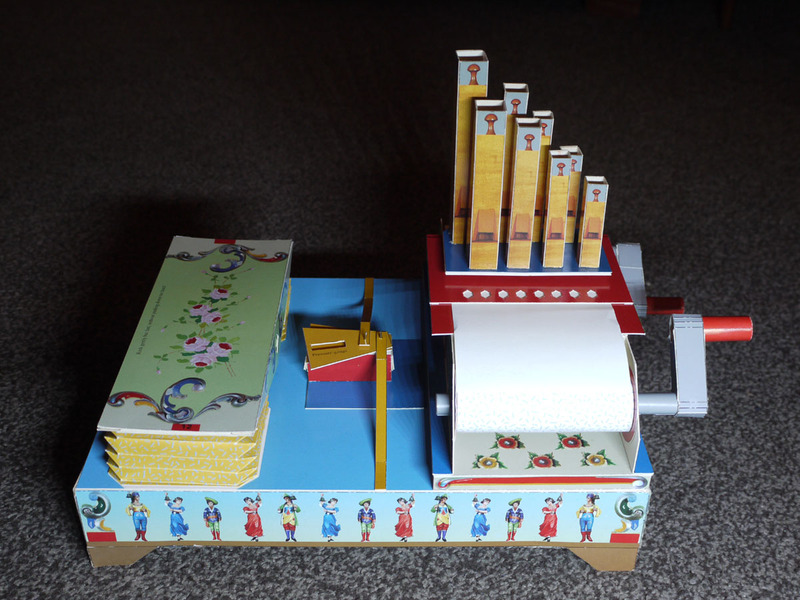 We are able to supply new organ parts made to order. A brand new power motor chest is shown here in the workshop. 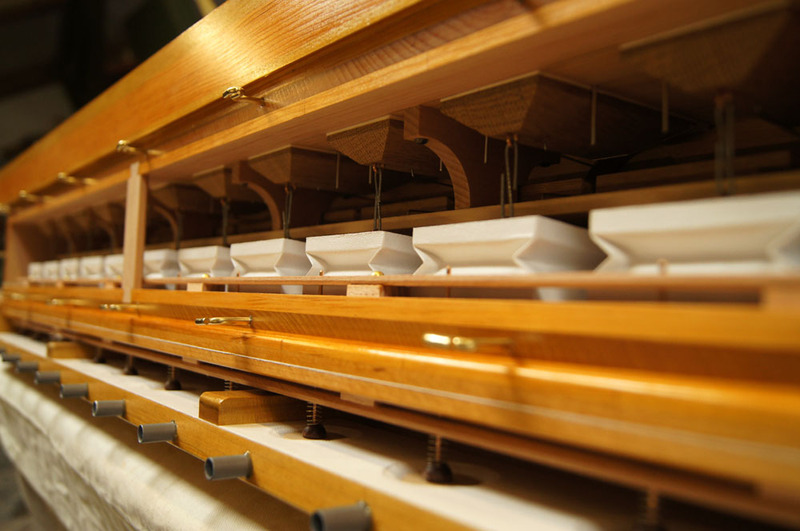 It carries new saxophone pipes with turned wooden boots, some of which have had to be mitred in order to fit in the organ case. 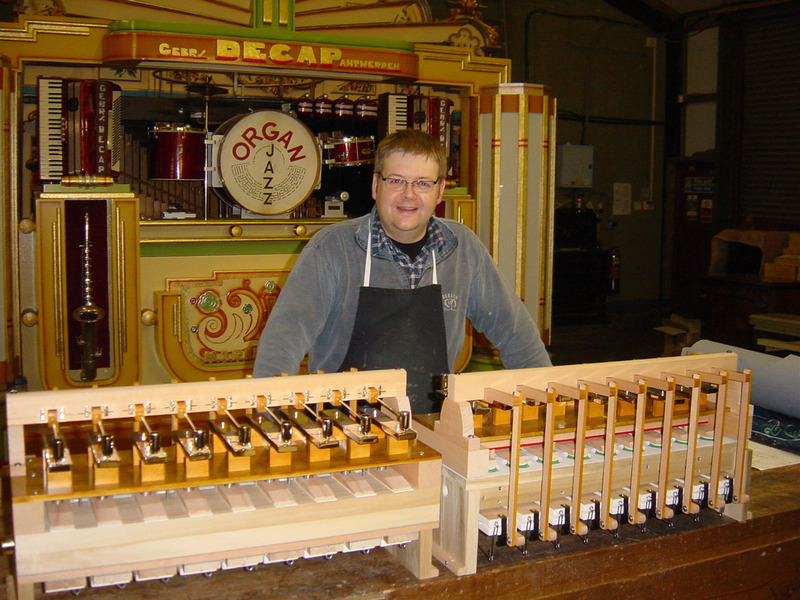 Russell Wattam with a brand new glockenspiel, made for a 57 key Gavioli organ. It was made exactly like an original one, with nickel-plated steel bell bars. 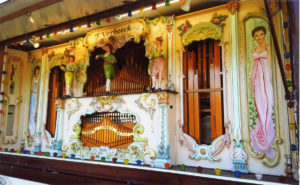 The left-hand unit shows the soundboard, hammers and bars as would be seen when mounted on the organ; the right-hand one shows the reverse side with the operating levers and pneumatics.